2011 heralds the release of a trailblazing new collaboration between Australia’s production extraordinaire M-Phazes and dexterous US word-slinger Emilio Rojas. Combined, the pioneering duo is Phaze One. With an indisputably fortuitous future ahead of them, Rojas and Phazes have forged their self-titled release over two years of to-ing and flowing across the Pacific. Paying homage to the likes of DangerDoom, Jaylib and the masterful relationship of the Foreign Exchange, Phaze One has found synergism fusing vintage influences with modern approach. Emilio’s toughly executed social commentary emerges through tracks like Tic Toc, The Survivalist and Still Talk, whilst a lighter approach is adapted for break-out single So Many- featuring Illy and Dion Primo, as heard on triple J, providing the album with a vast diversity of subject matter. Being the prolific producer he is; M-Phazes manages to explore an array of genres throughout the album. But teamed with Emilio’s New York flow –the overall sound is that of soulful hip hop at its finest. 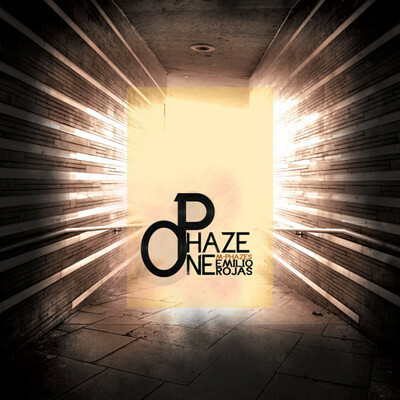 A testament to the times, Phaze One was completed prior to the two artists ever physically meeting to work together in person. The uniqueness of this album largely stems from the international nature of the collaboration, though the working relationship had its challenges; the end product has proven to be something revolutionary because of them. Now, the stage is finally set for the two artists to throw back the curtain and reveal the fruits of their labour. The album features guest vocals from Illy, Mela Machinko (Pharoahe Monch and Jean Grae), and Mateo.